A Warcraft movie has been a long time in the making but Blizzard high-ups have asked for casting ideas to speed up the process. Stuck in pre-production since 2006, the Warcraft film was originally to be directed by Evil Dead director Sam Raimi, however no director is currently attached to the film, which has also changed writers several times. Despite the film’s numerous issues, Nick Carpenter, vice-president of art and cinematic development at Blizzard, took to Twitter last week to reply to this post from World of Warcraft community manager Chad Wingerd. The post included a link to this, a collection of actors that would be suitable for some of the primary characters. If you haven’t played Warcraft III, this might not mean a lot to you, but some of the choices are actually pretty spot on – particularly John Malkovich as evil necromancer Kel’Thuzad. Whoever made the original 9gag post does have some extremely unusual ideas, though. Proposing Bill Nighy to play Tichondrius the Darkener is something I will never understand, while Morgan Freeman to play Thrall is just totally impractical; Freeman is 75 for God’s sake. As you can no doubt see from the post, some of the choices fall very short of inspired, which is where we’d like you guys to come in. Post the actors and who you’d like to see them playing from the Warcraft universe in the comments section below; who knows, maybe Blizzard will be watching. We’ll start you off now – how about Tom Hardy as one of the Dread Lords? 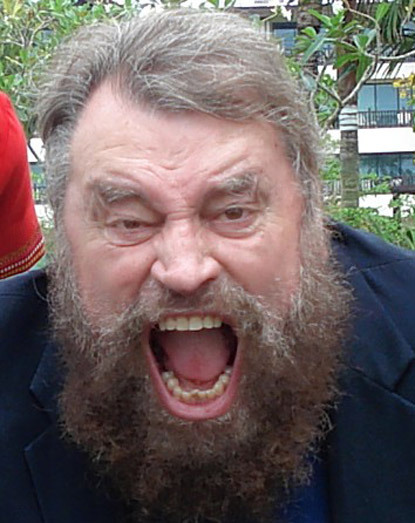 Or Brian Blessed to play Muradin Bronzebeard? I could be here all day.